Bicycles, bicycles with motors and motor scooters. Animals; led, driven on the hoof, or ridden. Farm implements and farm machinery, self-propelled or in tow. Note: any such machines transported on a trailer are permissible as long as it conforms to height and width standards detailed below. Vehicles equipped with metal, solid or deflated pneumatic tires. Vehicles driven by intoxicated persons. Heavy construction equipment which is self-propelled. Vehicles which may be deemed unsafe or hazardous to persons or property. Vehicles which require a height clearance in excess of 13’-6”. View section on the right for vehicle height restrictions per turnpike. Vehicles which require a width clearance in excess of 8'-6”. View section on the right for vehicle width restrictions per turnpike. Vehicles with a gross total weight in excess of 80,000 lbs. All loads greater than 80,000 lb must meet OL standards and be permitted. Vehicles which have width from outside of tire to outside of tire too wide to fit between lane curbs. Vehicles being towed with a chain or rope. Only vehicles that are connected with a coupling device are allowed to be towed on the turnpike system. Oversized and/or overweight vehicles traveling through the State of Oklahoma must have an approved permit from the Department of Public Safety – Size and Weights Division. To obtain a permit for oversized vehicles, please visit the Oklahoma Department of Public Safety– Size and Weights Division website or call 405-425-7012. 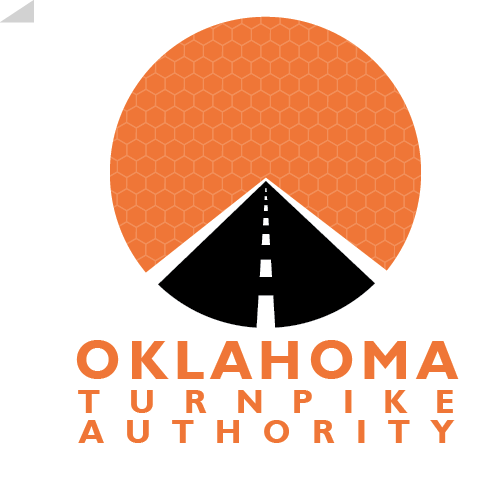 Overwidth vehicles in excess of 9'6" traveling the Oklahoma Turnpike System must have a valid PIKEPASS account. For information to establish a PIKEPASS account, click here.